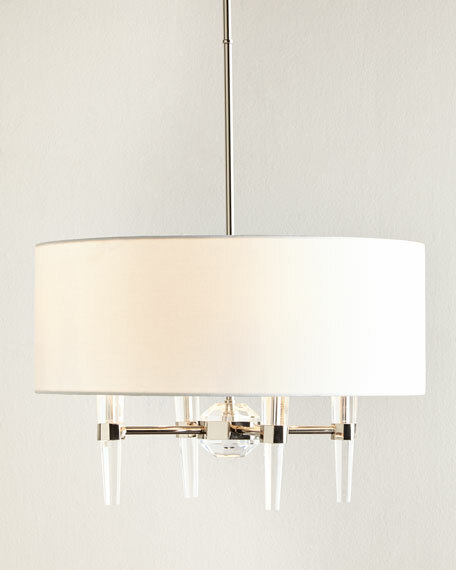 Acrylic chandelier with white fabric shade. Metal frame has polished-nickel finish. 19.5"Dia. x 32"T with 36"L down rod. Weight, 28 lbs. Boxed weight, approximately 35 lbs.